LandServer is a web-based tool that provides farmers and woodland owners with a quick and easy natural resource assessment, an evaluation of their property’s potential to receive payments for implementing conservation actions, and information on how to get started. Your report is only accessed with your secure User ID and password. LandServer produces reports by analyzing a robust database of geographic, ecological, physical, and other data sets. LandServer is a program of Pinchot Institute for Conservation. 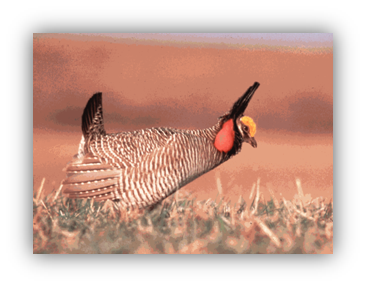 The Lesser Prairie-Chicken Application provides an interactive map for visualizing, collecting, and reporting data related to the lesser prairie-chicken. Viewing the distribution of this species on a map is available to all application users. Registered users, including TPWD biologists, landowners, and citizen scientists can add information to the application by entering observation data. Registration is open to all users and options for creating an account are available in the application. The USGS Groundwater Watch pages present groundwater level data from wells and discharge data from springs currently in a regular measurement program. Individual wells can be present in multiple networks. For instance, a well with real time instrumentation that is designed to monitor climate effects will be present in at least 3 networks: Real Time, Climate Response, and Active Water Levels. Springs are presented in their own network and incorporated into the Active Water Level network. Springs are not included in any other networks at this time. Click here for help page for this tool. This site is designed so that users can take virtual tours of the various ecosystems and natural sites. Within each tour, are links to more complete information on species present at that site. The links to individual species pages are also available in list form, and sorted alphabetically by scientific name, common name, and family with links back to each site in which they appear. A summary text-list of the virtual tour sites and their representative species may be helpful, as well as a list of sources used to compile the characteristics of each species. 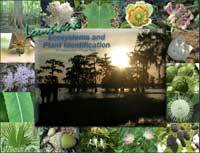 Additionally, the Wetland Plant Indicator List designation for each species, if it is know/determined is included. The site map page offers a complete overview and the various ways to access the information. To keep track of changes on the site as it is updated with new features, or new images, check "What's New" on the Sitelog page. The Maine Birding Trail makes it no secret that Maine is one of North America’s top birding destinations. For breeding warblers, boreal specialties, and birds of coastal and offshore waters, Maine offers unmatched opportunities to find some of the country’s most sought-after species. Spanning both the forest transition zone from deciduous to coniferous woodlands, and the coastal transition zone from sandy beaches and saltmarsh estuaries to rocky shore, Maine provides a wide range of habitats for birds, many of which reach their northern or southern range limit here. The Maine Food Atlas has been created by the Network of Community Food Councils, working closely with the Center for Community GIS. The Maine Food Atlas encourages diverse food operators—growers, processors, farm to school groups, food security organizations—to use the website and put themselves “on the map.” Users can establish free Maine Food Atlas accounts, which allow them to richly describe their work, load photos, and independently manage their postings over time. As the Maine Food Atlas grows, Community Food Councils will provide mid-level support and serve as regional moderators for listings in their respective service areas. Through “curated crowdsourcing,” assigned local food council members will be alerted whenever a new listing is added. They will also be available to reach out to help folks create robust, beautiful listings. The Atlas was launched in "beta" format in May 2015 following pilot mapping work in Oxford County. The site will continue to evolve and improve. Feedback is great, so please tell us what you think. The Maine Network of Community Food Councils is seeking partners to grow and enhance the Maine Food Atlas and welcomes opportunities to discuss and explore collaborations and partnerships. The Maine Futures Community Mapper (MFCM) is a web-based tool that helps Mainers: (1)identify locations that are most suitable for future development, conservation, agricultural uses, or forestry; (2) identify potential conflicts and compatibilities between different land uses; and(3) envision their future landscape under different possible scenarios of change. Ensuring a future where Mainers can count on vibrant communities with vital economic development, coupled with a sustainable natural resource base, requires thoughtful planning. 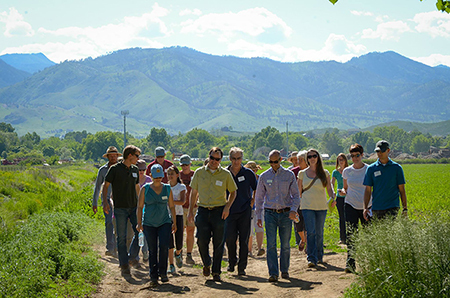 We developed the MFCM in partnership with dozens of stakeholders from the economic development, conservation, forestry, and agriculture communities to assist planners, citizens, policy-makers, and scientists in planning for our collective future. Maine Huts & Trails is a non-profit organization whose mission is to contribute to the economic, social and natural environment of Maine’s Western Mountain region by creating and operating a world-class recreation corridor for current and future generations. Our backcountry trails enhance access to beautiful lakes, rivers and forest lands, and our low impact huts provide inviting spaces that facilitate outdoor adventures and learning. This self-sustaining resource stimulates environmentally sensitive economic opportunity in the region by attracting visitors of all ages and abilities. 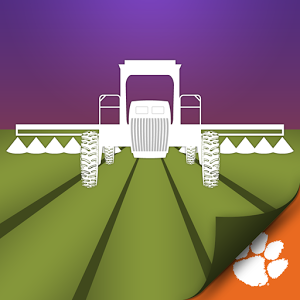 This app helps landowners find land management service providers, assists service providers in aggregating land management services, and works for any size property.